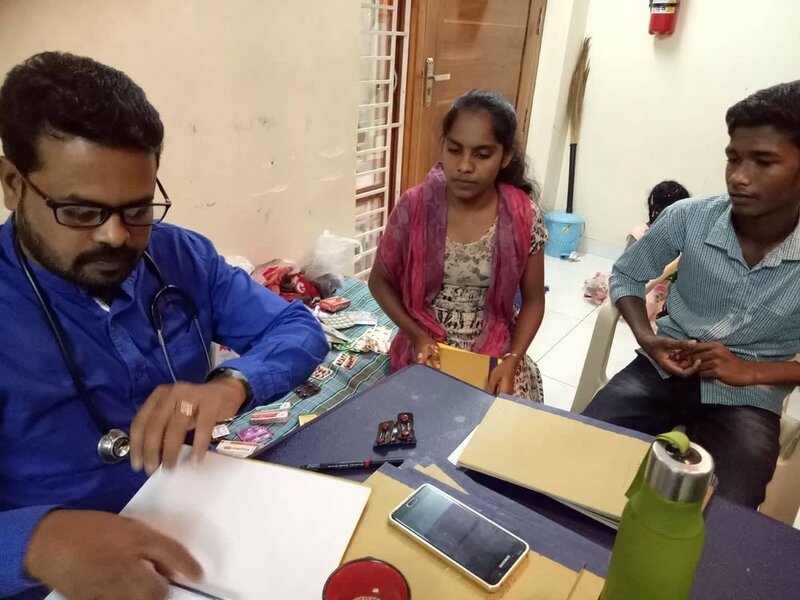 Dr. Raj spends his free time helping the children in poor communities with their much needed medical needs. Dr. Raj has been volunteering his time to the children living at The Bloom center since November 2016. We are so thankful to Dr. Raj for his care and love towards the children. Because of his help the children have learned how to become healthy and strong and to maintain it as they grow. Dr. Raj came for his first visit in November 2016. During his second visit in the month of December he was very pleased that many of the children have gained weight since taking the vitamins and the implementation of his diet suggestions. One of the newer children named Sai gained 5 Kilos or 11 pounds since the doctors last visit. Many of the older girls are also increasing in weight thanks to these changes. The Bloom Center has a large refrigerator/freezer and more food can be stored meaning less trips to the market and easier planning and preparation. In 2014 we looked into the cost to provide all children with commercially sold vitamins. We calculated it would cost between $200-$300 per month to provide the basics. This was not in our budget... Like everything else we prayed and trusted the God would provide the best solution in the perfect time. As always the solution is better than we could have ever imagined. We have a doctor who makes house calls and provides physician grade vitamins for the children for a cost of $58-$100 per month based on the needs of the children.